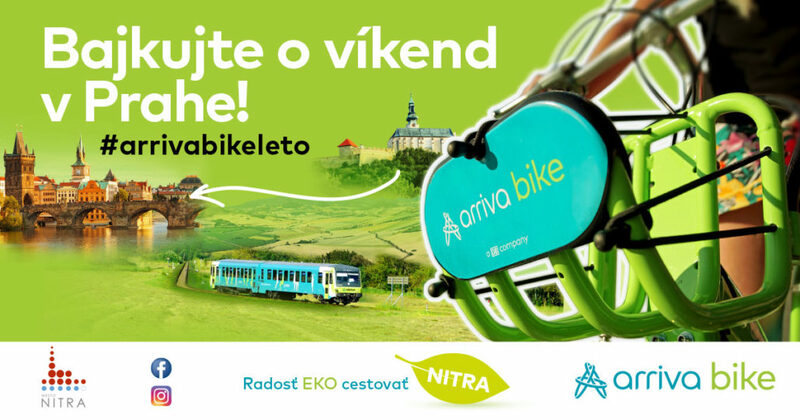 Experience the arriva bike summer with us and bike for a weekend in Prague! Enjoy the summer by biking around Nitra. Share a photo with an arriva bike and share your summer experience on your Instagram or Facebook profile. Do not forget to tag your photo with hashtag #arrivabikeleto! We reward the most original photos with valuable prizes. The more photos you tag, the more chance you have to win. Invite your family, friends – bikers and enjoy the beautiful summer full of new experiences. Have a nice summer! #arrivabikesutaz2018 photo contest is here!